uPVC French doors offer traditional, elegant aesthetics, which allow you to transition from your home to your garden in total style. Suitable for other purposes, such as stepping onto a balcony or as an entrance for a conservatory, their classic design will compliment any type of property. 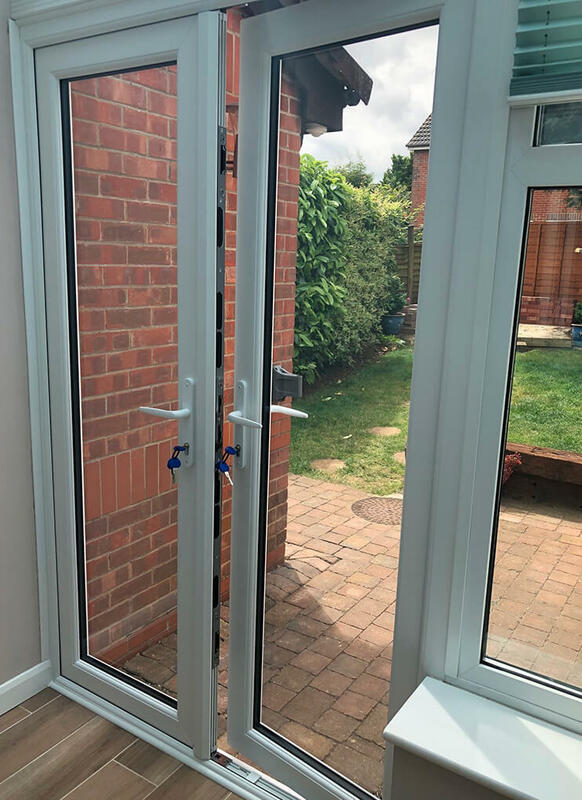 Thanks to incredibly slim framing and a design that features a lot of glazing, our uPVC French doors will allow plenty of light into your home. 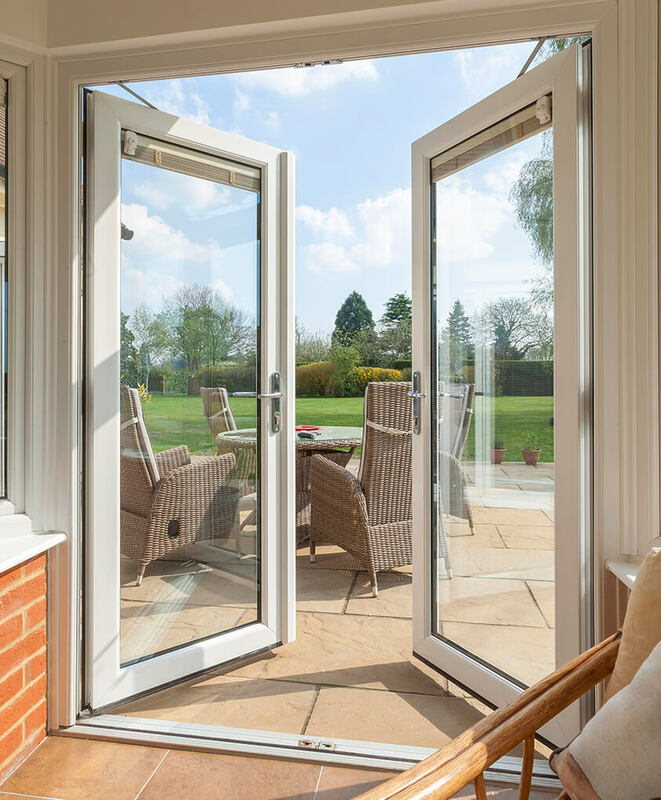 Opening these modern french doors up will create a wide, unobstructed aperture, so the air can travel inside and you can fully appreciate external views too. 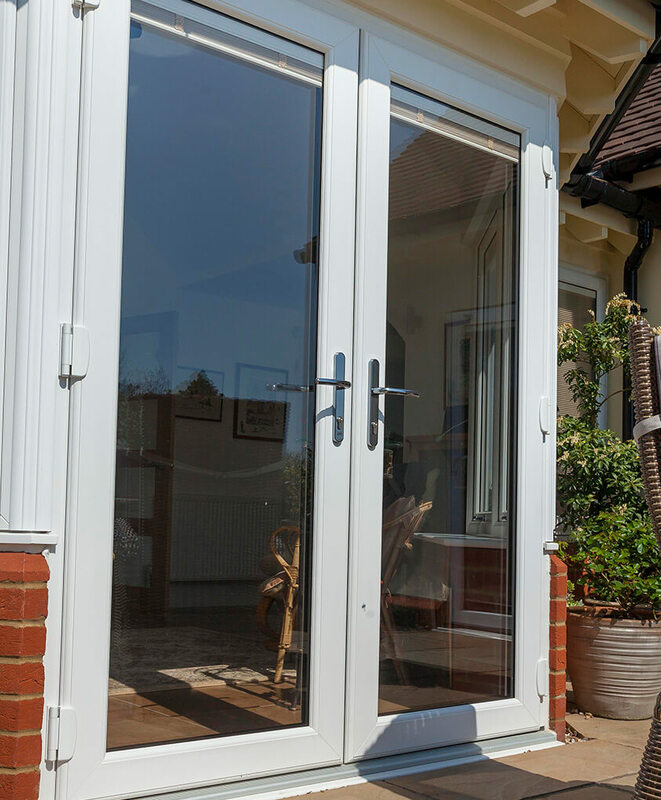 The profiles on our uPVC French patio doors are equipped with multiple chambers and advanced glazing, meaning your home will be well-insulated throughout the year. Highly customisable, the framing can be finished in a vast amount of colours, so you can achieve your desired look. And because they’re constructed from uPVC, minimal maintenance is required to keep them looking their best. 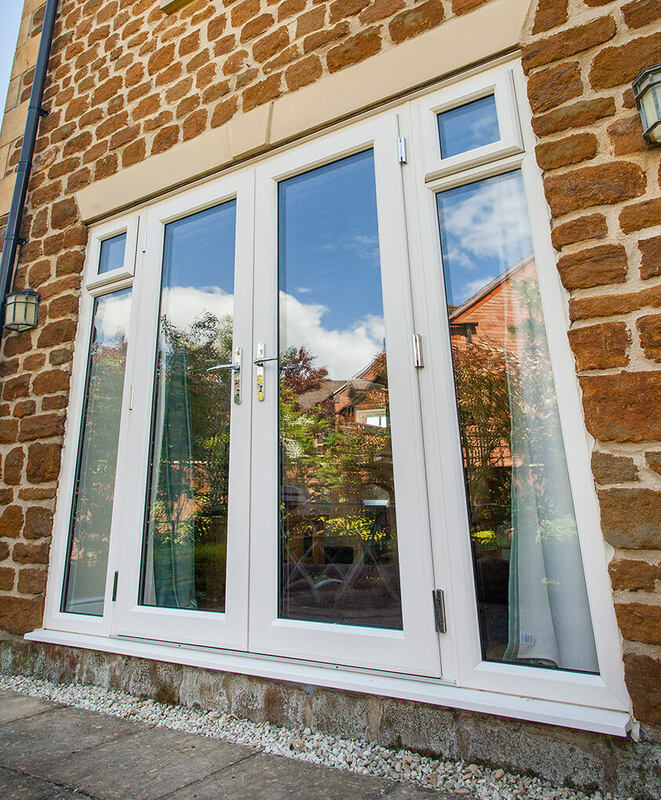 Able to achieve minimal U-values of 0.8 w/m2K, our uPVC French doors are extremely energy efficient. Featuring a high security SAC multi-point locking system, they’ll make intrusion into your home exceedingly difficult. They can be opened inwards or outwards to suit space requirements. 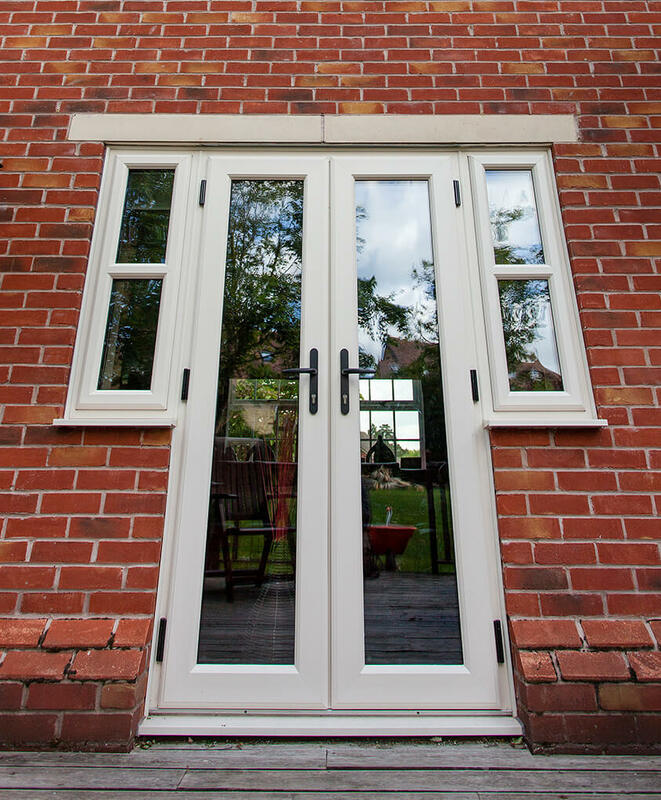 Our uPVC entrance doors come with a 10 year guarantee, however they’re expected to last longer, provided they’re taken care of. Available in an extensive range of foil and colour options, a pair of uPVC French doors from T&K can be finished however you’d like. Pick a shade that reflects your unique personality, or one that adheres to the colour scheme of your home. Whatever your aim, we’ve got a shade to meet it. A variety of glazing styles is available too, for extra customisation. Choose a unique design that reflects your personality, or opt for one that provides your home with a little more privacy. The choice is yours. T&K ensures that the quality of the uPVC used is second to none. This ensures for levels of performance that are difficult to beat. However, we also install finely crafted French doors that have been constructed from timber. Alter the appearance of the frames to suit the style of your property, with a choice of chamfered or sculptured framing.